While we saw a lot of the slicked back, straight and glossy hair on the ramp last year, what we also saw was fabulous curly and wavy hairdos that looked as glam as it gets. So ladies, if you’re blessed with curly or wavy hair, let’s embrace this awesome hair texture and make the most of your kinks and bends. Here’s some awesome inspo to make your wavy hair work for you. These celebs carried off wavy hairstyles so well that we can’t stop ogling! The out-of-bed look is so stylish and effortless! We love how Parineeti’s pulling this off and giving us some awesome hairstyle goals. Wash your hair in the evening, apply some mousse and scrunch it up as you go to bed. You’ll wake up to gorgeous hair, ladies! How funky does this hairdo look?! Braided on top and both sides, the wavy hair finally goes into a teased ponytail. And who better to take style inspo from, than the diva that is Sonam Kapoor! Soft curls that frame the face beautifully - this is a hairstyle for wavy hair that will suit all face cuts. Look at how Sonakshi is exuding class and elegance with this hairdo. Charming, isn’t it? 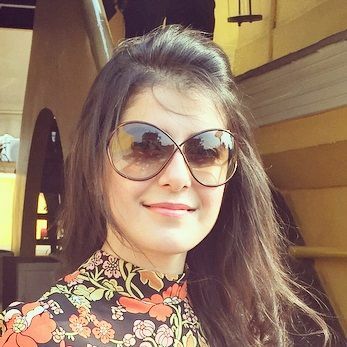 When you have curls as gorgeous Saiyami Kher’s, then the easiest and most chic hairstyle would be to simply twist it up and pin it at the back of the head. This look is every bit glam, we say. Nothing like freshly washed wavy hair that is slightly straightened out in the front. 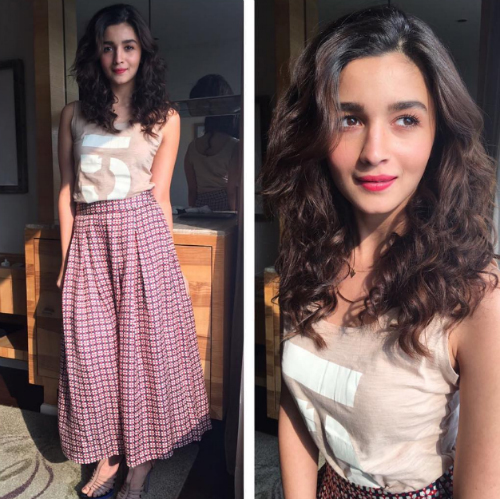 We like Alia’s unkempt hair look here - so pretty and effortlessly chic! Our vote definitely goes for this one. The waterfall braid is an adorable hairstyle for wavy hair, ladies. Go for it on a day you want to look as dreamy and uber cute as Deepika Padukone here. We like what we see! Learn how to ace the waterfall braid here. This wavy hairstyle is a classic and looks super glam! Crop your curly hair into a cutesy bob and condition it well for well-defined locks. Get it streaked, if you like, to make it look all the more striking. 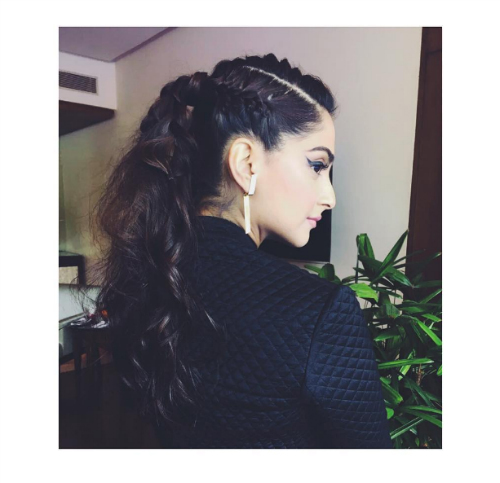 Buns made with wavy hair have an element of the old world charm and Sonam’s hairstyle here is proof of that. We love how every wavy section is teased and twisted and placed neatly in a low bun. Be it a black-tie event or even a wedding, this hairdo will get you tons of compliments. 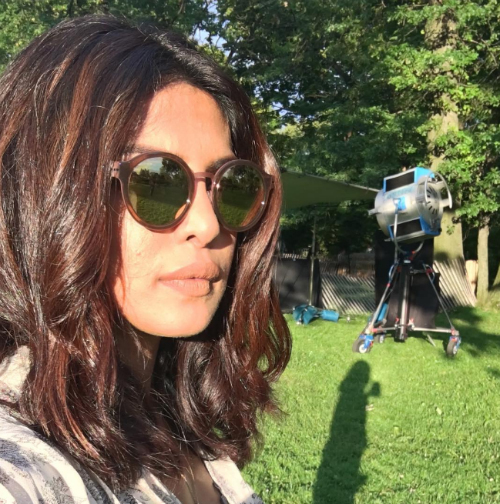 PC’s lob complete with dreamy waves is everything style is made of. That easy look with a centre parting and hair left loose - what’s not to love?! A high ponytail and an uber stylish quiff - just like Jacqueline here - is perfect for when you really want to impress with your gorgeous wavy hairstyle! Besides, how comfy will this hairdo be?! Just pin a big curl in place at the front and get ready to up your ponytail game!